I don’t think anyone really expected it. A year after Christian McCaffrey was selected by the Carolina Panthers in the 1st round, Stanford had an immediate Heisman-caliber player ready to go. 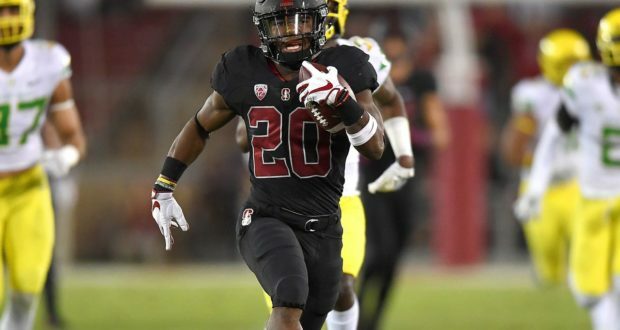 Bryce Love stepped into the starting running back role, and thrived! Although he’s not as prolific in the passing game as McCaffrey, he’s superior in terms of being a pure rusher. His 8.3 YPC in 2017 is absolutely absurd. A large part of what makes him such an exciting prospect is his athletic ability. He is lightning fast! In high school Love was a track and field Phenom. He was named USA track & field young athlete of the year in 2009. During his teen years he set countless track and field sprinting records for his age group, from 100m up to 400m. This led to him reportedly running a 4.40 40-yard dash during his senior year of high school. Many scouts are expecting him to run a low 4.3’s 40-yard dash at the combine. His explosiveness is clear to see. I fully expect to see his shuttle runs in elite territory as he’s exceptionally agile. Due to his size, there are those that have concerns about his ability to be a feature back at the next level. Standing at 5’10”, 196 pounds, some analysts think he could be a bit too small. 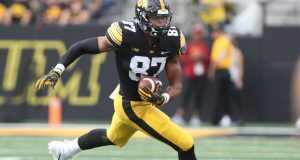 Bleacher Report’s Matt Miller said, “His size and speed make you think ‘scatback,’ but the lack of reps as a receiver (Love has six receptions this season) make that an unknown right now.” Could he produce like Devonta Freeman at that size? Or more like Ameer Abdullah? The guy takes any criticism, any weakness, any doubts, and strives to prove everyone wrong. He’s meticulous in mastering everything. If you ask me, that’s a recipe for fantasy owners to fall truly, madly, deeply in love…with Love. Walter Football currently ranks Love only behind Saquon Barkley. This has yet to be reflected by the dynasty community who seem to rate him below quite a few RBs. Over time I expect that to change. 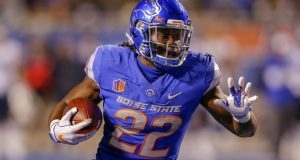 Where would you rank Love in regard to the other top RB studs in the draft? Like top 5? Yea I’d say top 5!